W.K Riland Bedford, in his History of Sutton Coldfield, published in 1890, gives a great deal of information about Victorian Sutton from his own personal experience. He commented on the contribution of the ladies to the intellectual life of the town in the 1850s, including two daughters of Mr. Webb, former headmaster of the Grammar School. 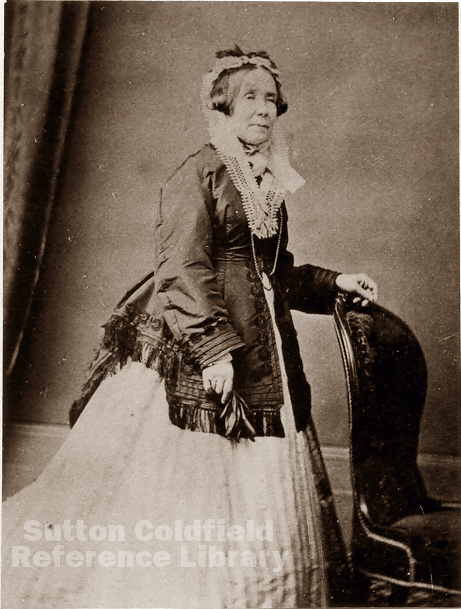 “One of these ladies took a leading share in the charitable and educational work of the town, and was much assisted by another lady…Miss Bracken, to whose talent and industry we owe the work entitled The History of the Forest and Chase of Sutton Coldfield”. Miss Bracken’s history, published in 1860, was the first printed history of the town. It was the result of long study, the first chapter using the Anglo Saxon Chronicle and the Domesday Book for an account of the likely state of Sutton in those distant times. Thereafter she follows the account of Sutton given by Sir William Dugdale in his “Antiquities of Warwickshire” of 1651, a vast scholarly work based on quantities of source materials, many of which no longer survive. Miss Bracken gives translations of the latin charters quoted by Dugdale, and adds some information of her own, particularly her eye-witness account of the ruins of the manor house as they were in her day. For the later history of Sutton Miss Bracken is mainly concerned with the stories of the principal families who had occupied the great houses - Moor Hall, Four Oaks Hall, Langley Hall, New Hall, and the Rectory - having access to the relevant records. She also used sources shown to her by the Rector, by the Warden, and by the Grammar School solicitor, enabling her to bring the history of the town up to date, but largely ignoring the social and economic history. Although she was involved in charity work and in the work of the elementary schools which gave her first-hand knowledge of Victorian Sutton, she preferred to characterise the town as a rural utopia, where “the cottager, rambling in search of his depastured cattle, feels the pleasure of possessing rights, not the less acceptable that he shares them with his richest and his poorest neighbour”. Richard Holbeche, recalling his childhood, remembered Miss Bracken standing in her doorway in the 1850s with her dog Warder. She was a woman “the like of whom I do not know nor have ever known. 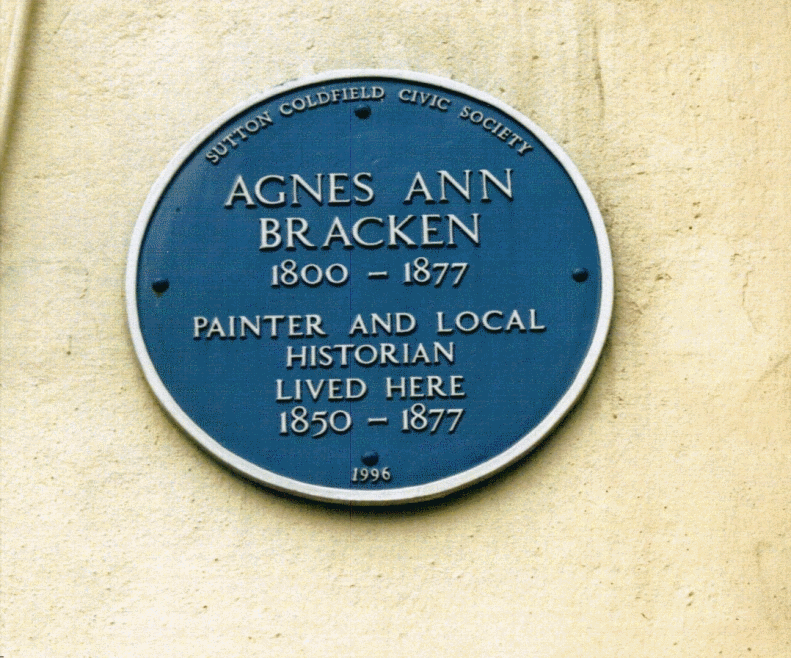 A woman first, authoress, artist, antiquarian, philanthropist, of the strongest individuality, with the softest heart, such was Agnes Bracken, and I speak of her with respect and affection. Her delightful book on the place she loved so well is a local classic, her pictures adorn many of the drawing-room walls of what few old Suttonians remain…She was thorough in her mission work, her activity in everything that was likely to benefit others or animals is not likely to be forgotten till the old Sutton folk have all died out, which perchance will be ere long”.